Shivraj Chouhan claimed that people were fed up with the Congress party which had betrayed them several times. 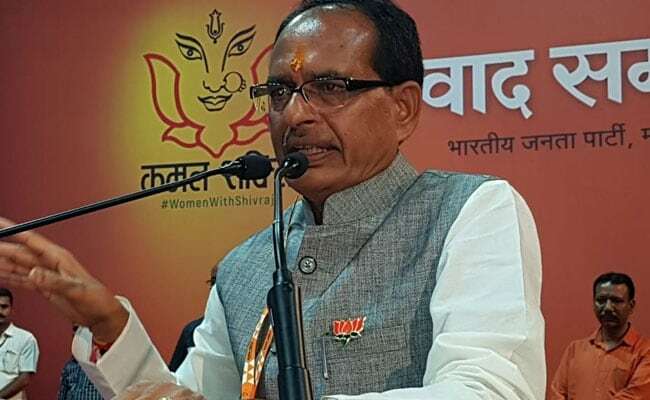 Madhya Pradesh Chief Minister Shivraj Singh Chouhan took a dig at the Congress on Saturday saying that the party only releases its election manifesto but never delivers on the promises made. Addressing a rally, Mr Chouhan said that though late Congress leaders Indira Gandhi and Rajiv Gandhi had promised to remove poverty in the country but failed to do so. "The Congress today released its election manifesto; they only release manifestos but never fulfill them. Even Indiraji and Rajivji had promised to remove poverty but didn't do it. Their promise was fulfilled by Shivraj Singh Chouhan and Prime Minister (Narendra) Modi that is why Congress is angry," the chief minister said. Mr Chouhan, who is the chief minister of Madhya Pradesh since 2003 and popularly known as 'mama' in the state, during a rally in Pushprajgarh earlier in the day alleged that the poor conditions of roads and erratic power and water supplies in the state were not taken care of during the previous Congress governments headed by Digvijaya Singh. "When I came to power in 2003, Madhya Pradesh was in a terrible condition. Roads were in a bad shape. There was no power and electricity supply in villages. And now, everything has changed. Roads have been paved in all villages. Electricity connection has been expanded and power supply reach has widened," he said. Continuing his tirade, Mr Chouhan claimed that people were fed up with the Congress party which had betrayed them several times. The state is slated to go to polls on November 28. The strength of the Madhya Pradesh assembly is 230 and counting of votes for the assembly elections will be conducted on December 11. The election in the state is seen as a direct political battle between the BJP and the Congress. While Mr Chouhan is attempting to secure a fourth consecutive term, the Congress will fight for regaining power after 2003.